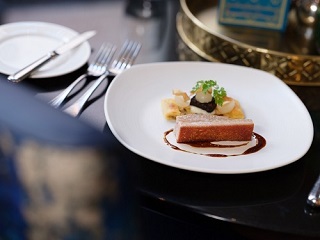 La Brasserie offers a delectable Light Bite menu, perfect for those who may have limited time. The menu changes on a regular basis and is available from noon until 9pm daily. 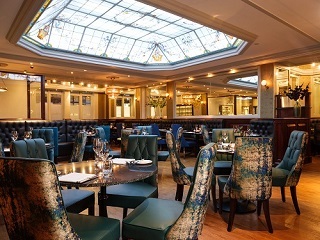 With a relaxed Parisian style atmosphere La Brasserie is the perfect place for a coffee, a cocktail or a leisurely meal. The black leather sofas, sleek granite tabletops and hand-painted glass skylight all add to the feeling of French sophistication. The recent addition of a Josper, burning Tregothnan Kentish estate sustainable coppice wood, is in layman's terms the hottest indoor barbeque in town, producing food superior both in taste and quality. Thoroughly enjoyed our evening... Thank you! Excellent! My wife and I shared the rib of beef and it was outstanding, one of the best steaks we have ever had and definitely one to recommend! Lovely setting in the restaurant and a great atmosphere, we will be back! 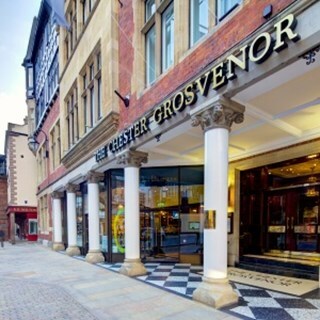 A pleasant lunch, but unfortunately not the high standard of service that the Grosvenor used to be renown for. We had a really lovely afternoon Service was brilliant,and food was delicious.Defiantly visit again.Thankyou it was great!!! Another lovely meal in the beautifully updated  brasserie. Booked for a special Birthday and in no way did La Brasserie and their  quite excellent continental staff, disappoint. Just Perfect! We booked for lunch to celebrate our 30th wedding anniversary as we wanted something special,  and we weren't disappointed. Everything was perfect. Very good food & excellent service. The food was tasty, we enjoyed most plates, although my husband thought his too salty. We especially enjoyed having dessert decorated with Congratulations for our son. I was disappointed to wait a long time for a glass of wine and was then brought a full bottle in error. Whilst we had a most enjoyable experience, the wine with our early evening dinner was supposed to be French Sauvignon Blanc, but, as I was not as impressed as on our last visit I inspected the label and it was Colombard or something. Also a server should circulate the tables say every five minutes or so; after waiting an age we had to go to reception to order coffee and likewise with paying the bill. Overall very good, but the previous occasion ranked excellent! Food was incredible. The staff were wonderful. The atmosphere  was lovely. The bar was fab. Will definately be coming again. Stunning menu and service. We came for the early dining option and were made feel very welcome for our entire stay (4 hours!). Wonderful experience and very welcoming staff. Food was amazing and so was atmosphere. Definitely come back again. Food was outstanding - red wine cod flakes delicious and a perfectly cooked rib-eye. The Grosvenor house champagne excellent as always, and fantastic Shiraz. Not a cheap night out but memorable. Excellent the restaurant as well as the hotel itself was truly great. All staff were excellent, they treated my granddaughters aged 6 and 8 so well without ever being patronising. The alcohol free champagne (lemonade) thrilled them and delighted me. 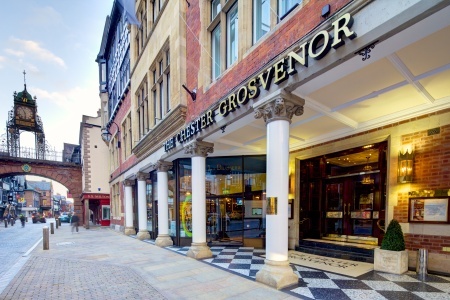 No wonder they always want lunch at The Grosvenor as their birthday treat and we have been coming for 4 years now. The sesame chicken was supposed to be in a peanut marinade, but in effect it was simply pasted in peanut butter. This made it very dry and cloying. On top of dry bread it was just unsatisfactory. All other dishes seemed fine.